This page is for special announcements. 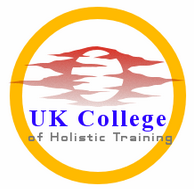 We are pleased to offer these discounts on all UKCHT taught courses currently available. Enrol now before this offer expires! Our courses probably have much more content and depth than many cheaper courses on offer elsewhere. Feel educated and satisfied with really knowing your subject. Our textbook-based courses bring you guided study of the carefully selected original works of acknowledged experts as well as opportunities to develop your own thinking and perform self-development exercises or try out techniques where applicable. Many students have loved this approach and come back to us for further courses. Browse our available courses now and choose the one you've been waiting to do! This offer does not apply to the "Conscious Courses" range. Payments must be made by PayPal or bank transfer. Payment must be made in full (sorry, no instalments or payment plans). One course only per applicant. Not normally applicable to payments already in progress (but you can ask us nicely and we will see what we can do). If the course requires you to buy textbooks, you will still need to do so. We do not sell the books ourselves so you will need to use Internet bookstores. Applicants outside the UK and EU: please send your completed application form by email, and we will check if any special arrangements or extra costs apply for your country. We reserve the right to decline any application without giving a reason.